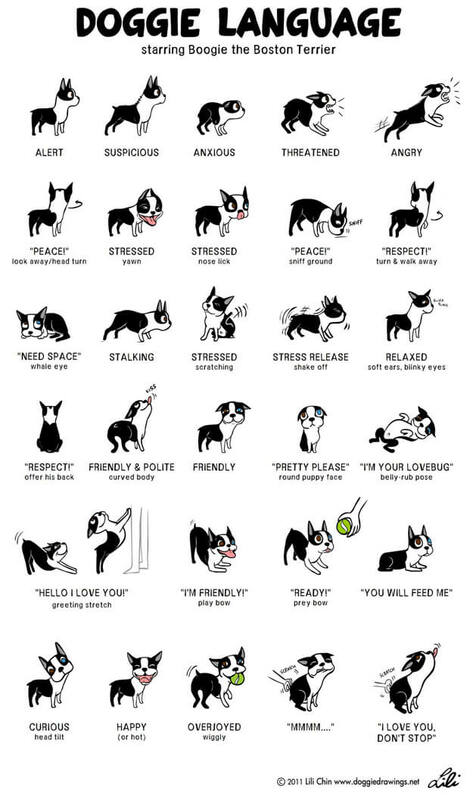 How To Understand Body Language of Your Dog? Unless you’re a cat living under a rock, you’d know how tricky it can get to listen what your dog is saying. The Secret Life of Woofs isn’t that hard to comprehend even in today’s world of internet and instant messages. 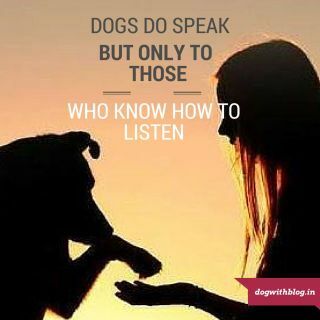 The language of dogs is relatively easy as compared to humans – they growl when they are angry, they wag their tails when they are friendly, how many humans can we say that for? Dogs speak through their gaze, they smile in the tilt of their tails, their feelings are defined by proximities and distances they keep. Since dogs don’t speak human tongue, they communicate most of their feelings to us through their instinctual body language. 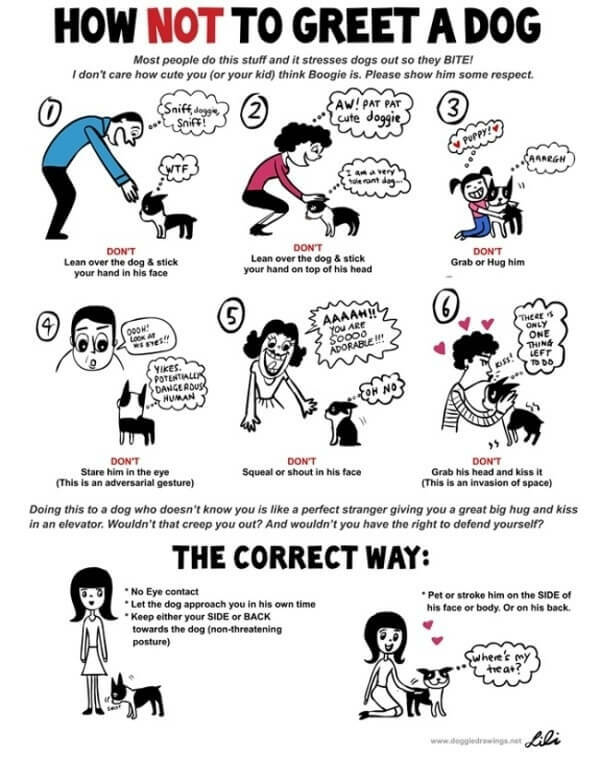 These easy-to-read drawings by Lili Chin will help you understand your pooch much better! Dogs say it best when they say nothing at all. 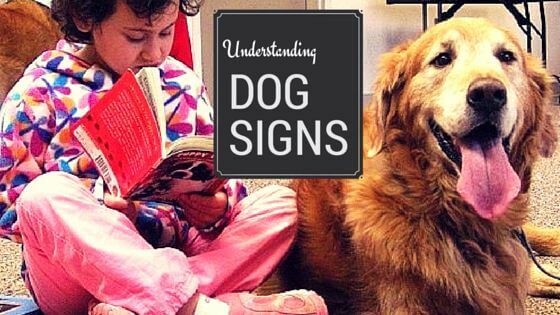 Dogs may not say the words, but they say a lot more once we realize their body language. 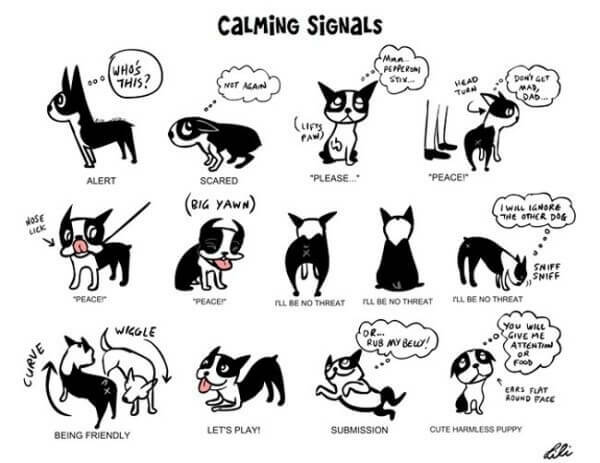 Learning the basics of canine body language helps us in better understanding our canine companions. Once a Dog Listener, we can ease our well-intentioned cross species miscommunications. All set to be Dr. Dolittle, are you? Nice post Abhishek.. I have a saint Bernard (His name is Titan) at my home, his huge size makes me scared.. His behavior is kinda neutral towards me, he neither barks at me nor ever come near to me.. What does it means?? He likes me or not? Hi Anjali, Dogs can smell apprehension, please let go of fear 🙂 Bernard(s) despite their size are very friendly hence the title Saint. Try to take it slow, bond with him by being the one who gives him food, takes him out for walks and I’m sure you’ll make great friends with him. All the best! A lot of things I have learned from this blog.